The early seventies were a time when "country looks" and peasant dresses were in fashion. 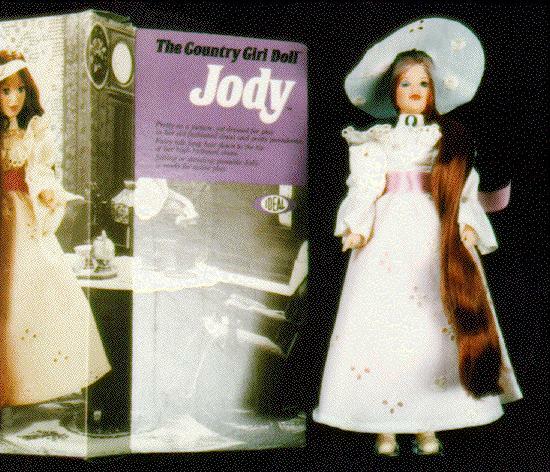 This doll is "Jody, The Country Girl Doll," by Ideal, 1975. She is about 9 inches tall, with extremely long red hair. She came in several different versions/outfits.